Help patients breathe easier with iSleep 20+, Breas’ advanced high-performance, sophisticated CPAP designed for easy use at home. Thanks to advanced eAdapt technology, patient comfort is enhanced significantly. In the conventional CPAP mode, especially at higher pressure levels, some patients struggle to breathe against the pressure level. 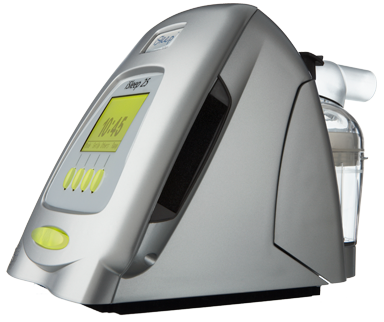 By adapting the expiratory pressure to the patient’s inspiratory effort, eAdapt helps to reduce the work of breathing, and enhances breathing comfort for patients.